I just finished and shipped this wonderful Grundig Concert Boy 1000 to Germany !! It was a custom order as a 70th (wooaahh) birthday gift!! We love collecting every little screw! Every good function needs a good button... a nice one! After conversion, before shipping. This guy has a new life in the U.S.A now! YKON is an individual solution creating portable speakers from old and vintage radios based on Bluetooth technology. The results are mesmerizing. 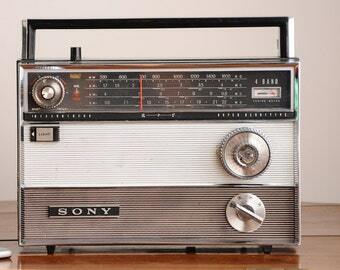 Iconic designs from the days of olds with the sound of present. The quality and design are the most important bases for us. Our Bluetooth radios are far away from mass-production or quick and dirty DIY speakers. We use rare radios, Harman/Kardon speakers, latest Bluetooth audio receiver boards, high capacity batteries, good looking buttons and even wood to make the best of appearance and sound quality. During the working days, Marton is an engineer working at an American company. But on the weekends he is a guitar player, a photographer and creates Bluetooth speakers from old radios. He is the boss! During the hard working days, Emma is a psychologist and working at a Dutch company as a financial analyst. But on the weekends she loves helping to Marton in marketing strategies at YKON. Zoltan is our connector, a real marketing expert and web developer helping YKON to grow big! If you have an old radio laying around and if you would like to use it again as a Bluetooth speaker we can convert it to you. Custom orders are always more fun to do because of the story behind them. Much more personal and creative feelings for us! So If you have a custom order just let us know! We are always packing our radios ready to give as a gift. No matter who orders for what reason. For us, every radio is a gift. For you. The boxes of the radios made from recycled cardboards because the environment is important for us. We are happy to collaborate with different shops all over the world. Our radios can be found in several concept stores or markets such as Chicago, Budapest or Vienna. For these stores, we offered 20% off from the price plus 50% shipping cost. Do you use the original electronics of the radio? We are always looking for not working radios. We want to save them instead of killing them. That's why we don't use the original circuit and electronics of the radios for the new Bluetooth function. However, the original knobs or switches have the original function like ON/OFF, sometimes volume control. Do you use the original speaker(s)? It depends on the radio itself. If the original speaker has enough performance then we are happy to use it! For example in the case of the Schaub-Lorenz radios, we could use the original 5W speaker. It has much more warm and nostalgic sound. If the performance of the original speaker is too low compared to the new amplifier board we must replace them with new, high-quality speaker(s). Do you offer DIY kits? If I have an old radio, could you convert it? Sure! Just contact us with a picture of your radio and your expectations!